As a ten year old, I would take daily breaks from a long summer of yard baseball and building trails through the woods to go to the public library and that of a local college, hoping to spot the latest Voyager image of Neptune and Triton, its planet-sized moon. I would scour every newspaper, magazine, CD-ROM – anything that came in, hoping to see a slightly sharper view of these mysterious worlds. I would set out book and compare how worlds looked as different spacecraft approached. Mariner-10 brought us the cloud covers of Venus and the cratered surface of Mercury, and the Venera and Viking landers took us to the surfaces of Venus and Mars. The Pioneers gave us glimpses that were enough to tell us that the Jovian and Saturnian systems were far more complex and interesting than we thought from our earthbound view, but while they were very good at studying other things such as magnetic fields, they were small spacecraft designed to pave the way for the follow on, Voyager. 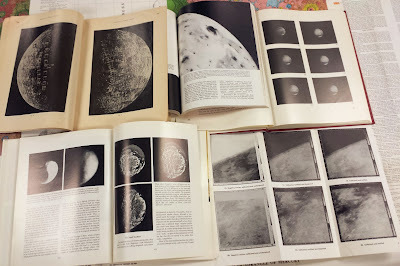 While the previous missions revealed a world (or, in the case of Mariner 10, two worlds but separated by years), the Voyagers visited planets with planet-sized moons as well as a retinue of smaller companions. From the volcanoes of Io to Titan’s thick atmosphere, from Europa the billiard ball with a hint of a global ocean to Miranda with its jigsaw puzzle surface, each encounter was a grand tour of a mini solar system. Next time. There was much to do about Voyager 2 reaching the edge of the solar system, exploring its most distant planet and its moons. That was technically true at the time – from 1979 to 1989, Pluto was inside Neptune’s orbit. But the proclamation that we had completed the initial reconnaissance of the solar system felt hollow, because there was one major world that hadn’t received a visit – Pluto. But the Voyagers, speeding out of the solar system, could not help us anymore. It would take great effort by people such as Principle Investigator Alan Stern, to finally get humanity on its way to filling this gap with the launch of New Horizons in 2006, 17 years after Voyager visited Neptune. In the intervening years, three things changed our view of Pluto. From ground based and Hubble Space Telescope observations, we produced our first crude maps, revealing Pluto to be one of the most high contrast objects in the solar system. This indicated that it isn’t simply a carbon-copy of Triton, which is thought to be a captured satellite and is similar in size and mass to Pluto. Second, the Kuiper Belt of distant worlds beyond Neptune, predicted a half a century earlier, became real to us, transforming Pluto from an oddball to the largest of these outer worlds that we can only faintly see from earth. Pluto remains the largest, and is the only one to have a moon so big that it could be a planet in its own right (technically, Pluto and Charon form a double planet). Two more small moons were found, a number which has since risen to four. The Plutonian system is the last menagerie of worlds on the scale reminiscent of the ones surrounding the giant planets that we have yet to visit, albeit without the giant planet. It is the only unexplored household name in the solar system. It is the only remaining world that humanity had in mind when it reached out into the solar system with the Mariners, Lunas, and Pioneers. The experience of seeing the new images as they come down and the reactions of scientists in real time has been a priceless experience – much different from scrounging around at the local library – oh, and Mom, told you I’d be here. There are plenty of small worlds left to explore and our studies of even much-visited Mars are far from complete – this is the end of the beginning, by no means the actual end, if one even exists. But will be no single unexplored target that stands tall above the others. There will be no great region of the solar system taunting us. The initial reconnaissance will be complete. Some people have gotten to live the whole journey - 66 years since Luna 3. The rest of us have joined it in progress. July 14, 2015 will be the last opportunity to live it as it happens. It is truly a special time to be alive. That is a wonderful account Ted, it sets me reminiscing. I'm older than you, I was a boy of six in Cape Town when Sputnik went up, and I remember all of us standing out in our backyard that night to see it, and the oohs and aahs and gasps of wonder as it went overhead. Since then I've been an avid follower of all the missions. I really appreciate your cogent summary of our endeavours. This year is exceptional for "stuff nobody has ever seen before", a real treat for us armchair explorers. During the ten years wait for New Horizons my motto has been See Pluto and die happy. But now the ten are past, and I'm going to postpone the dying happy bit, maybe indefinitely. Well at least until at the data is down. What a time to be alive! I am a philosophy professor at Roane State Community College in Oak Ridge, Tennessee. Planetary exploration has always been an interest of mine. You can follow me on twitter @tedstryk for the latest updates on my work. Please note that since the processed images are copyrighted, they should not be reused without permission. If you are interested in using any of my work, please contact me at strykt(at)roanestate.edu or tedstryk(at)gmail.com (I avoided @ to make the addresses harder for spam bots to pick up).